Categories: Architectural, Chemical, Construction, Food & Dairy, Food Processing, Medical, Oil & Gas, Round Tube, Stainless Steel, Transportation. 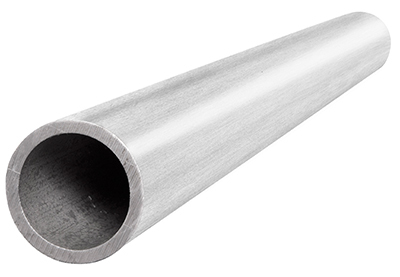 The 304L stainless steel round tube is a metal that has been alloyed with 8 percent nickel and 18 percent chromium. Its other common name used to be 18/8 because of its chromium-nickel status. Because it has been alloyed with these two metals, 304L steel has great corrosion resistance and heat resistance. It is able to withstand harsh conditions that can bring about intergranular corrosion for most other metals. It has excellent forging, forming and welding capabilities. It is an austenitic alloy, making it a capable of being severely deep drawn to create sinks, saucepans and other hollowware. It can also be used for moving machine parts. Cold working is needed to increase hardness and tensile strength. Heat treatment can be used to harden this alloy. When forging it, it should be done in uniform temperatures that don’t exceed 2300 degrees F or fall below 1700 degrees F. Once forging is complete, it can be air cooled without cracking occurring. This metal hardens rather quickly, so to relieve stress caused by spinning or forming, stress relief annealing or full annealing should be done right after forming. 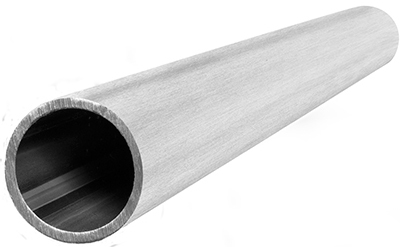 This metal has a machinability rating at 45 percent of B1112. When machining, the work hardens pretty quickly. It is best to use heavy positive feeds, a rigid setup and sharp tooling when machining 304L alloys. The applications that are commonly used for 304L stainless steel includes food, beverage, dairy and chemical industries. It is also typically used for parts that require welding, polishing, machining or grinding. It can be used for parts that are made to handle corrosive products like citric acid, crude oil and inorganic chemicals. This product is available up to 240 inches long.